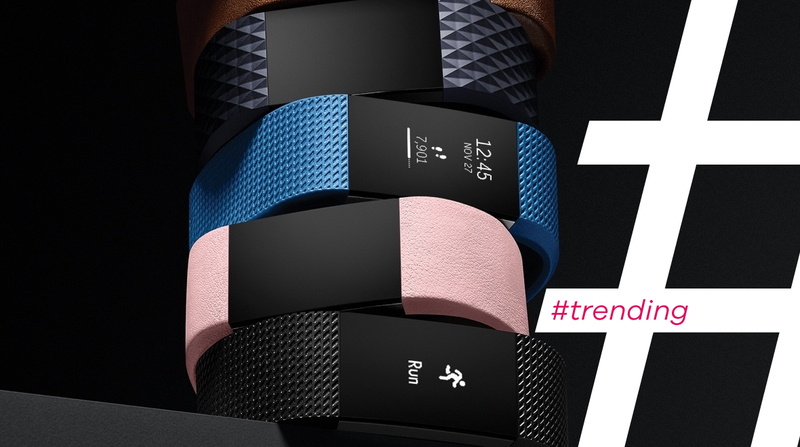 On any given week, Fitbit can look like both the Only Company Getting Wearable Tech Right and a hot mess. The first few weeks of the year have been particularly eventful so we thought we'd take a step back and assess. We saw in the New Year with news that Fitbit was the No.2 free app on the app store over Christmas, second only to Super Mario Run. Then Fitbit had a quiet CES amidst analyst reports of low New Year New Me sales and good-not-great holiday sales. THEN it bought another smartwatch company. It's all go. Let's unpack Fitbit's latest moves and what it means both for loyal users and the rest of the world, currently living pre-Fitbit tracker. In short, are u ok hun? Fitbit didn't launch new trackers at CES. What's going on? Well spotted. Last year's CES saw the Blaze, its first smartwatch, and the Alta launch whereas this year Fitbit used the Vegas show to update social features in the app and announced a trio of very interesting, but niche, health and fitness partnerships. Both of these improve the experience for existing users, especially in terms of motivation and meaningful fitness metrics plus some new functions for Blaze watches. The tweaks might also entice new buyers to the existing range. But the tech press, investors, regular people are all thirsty for the next big thing from Fitbit after two sequels at IFA in September. So it's playing the long game? Looks like. In the past week we've had a steady stream of news that points to big things for Fitbit and the first "true" smartwatch from the wearable tech company. We're so sure it's coming it made the no.6 spot on our list of 50 predictions of wearable tech gamechangers for 2017. Steady on. First up, there's the fact that Fitbit CEO James Park revealed at CES that he wants to launch a Fitbit app store "as soon as possible". And yes fitness and pill reminder apps - two examples he gave - could work on tiny tracker screens but it's clear they'd make a lot more sense on a smartwatch-style display. True, true. That's why it has just bought.. a couple of smartwatch companies. It paid $40 million for Pebble late last year and just this week Vector announced it was being acquired by Fitbit too, for an undisclosed sum. Vector. It's an indie smartwatch company founded by ex-Timex CEO Joe Santana and its big sell is a 30-day battery life. Put two and two together with Pebble's eight and ten day watches and you can see Fitbit won't be launching a smartwatch with a 1 - 2 battery life anytime soon. Oh and one more near-acquisition, it tried to buy Jawbone last year. Yep. The deal failed because Fitbit wanted a bargain price and Jawbone still thinks it can get something close to a $1.5 billion valuation. Not gonna happen. Bet those investors don't like splashing the cash? Well, they can't have gone for the Vector acquisition so much as Fitbit's share price dropped nearly 6% on the day of the news. Then again, this may have been more to do with reports that holiday sales were overestimated. But it sold a ton of trackers over Christmas right? Well, there's no doubt it sold more trackers than anyone else but we don't have the estimates in yet and don't forget back in November, Fitbit slashed its forecast. Now Cleveland Research analysts are claiming that retailers and distributors are "swimming in product" left over from December coupled with a slow start to 2017 sales. So everyone agrees - time to take on Apple? Not exactly. Fitbit's investors are more indecisive than a January dieter faced with a choice of pepperoni-on-pizza or kale-on-quinoa. Fitbit's shares rose 1.1% after it announced it was buying Pebble which isn't very conclusive. Compare that to the rise of 4% last July after we reported that it was set to launch two new fitness trackers at IFA. And Fitbit hasn't bounced back from its shares falling off a cliff in November - its shares have been falling for months and now stand at $7.33 versus $19.85 in January 2016. Eeeesh. Right, what is James Park actually planning for 2017? You're right, he's in charge. Aside from the software updates, partnerships and the now confirmed app store, Park has hinted at new form factors and catering more to the big markets of women and casual users. Fitbit's purchase of Coin should also mean we see payments on any new hardware this year. One thing's for sure, Fitbit's next device launch - whether its MWC in late February or later - will have to impress.